The availability of a wide range of keyboards always puts the buyer in a bind, especially when he/she is not sure about the type of keyboard to choose or which model to buy. Primarily, two types of keyboards are available for live performances: Music Workstations and Arranger Keyboards. Music Workstations give users a very good quality of sound to perform on stage with easy selection of sounds by way of banks and options of multi layering and multi splitting of sounds. They are also very useful in the recording studio by virtue of their ability to open as a plug-in in most DAW softwares. They are very compact and light weight which is a basic need of a keyboardist while traveling and transporting. On the other hand, Arranger Keyboards give users a backing band to play along with the melody. Most models have a wide variety of rhythm styles. They are often used for live performances along with other musicians. Keyboardists find the performance/registration memory mode very useful and efficient in setting up and performing successive songs in a variety of sounds and styles. Arranger Keyboards are a little bulky and heavier in weight, primarily on account of the on board speakers. Korg’s Kronos, Krome & Kross, Yamaha’s Motif series & Montage and Roland’s Fantom and Juno series are some examples of leading Music Workstations. 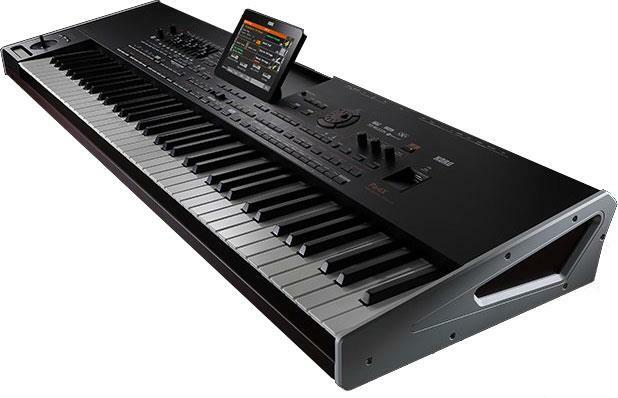 Korg’s PA Series (PA-4X, PA-900, PA-600, PA-300) and Yamaha’s Tyros-5 and PSR S Series (S670, S770 & S970) are some examples of popular Arranger Keyboards. More on both these keyboard categories in my future blogs.